The Latitude E Series is Dell’s premier mobile business lineup. In terms of construction quality and durability, Latitude E models rival that of the popular ThinkPad T models while potentially costing users less at checkout. In this review, we take a closer look at the 14-inch Latitude E6430s, essentially an E6330 but with a 14-inch display. In other words, Dell has barely changed the visual impression and has merely fused a 14-inch display onto a 13.3-inch notebook as evident by its narrower display bezel. The Latitude on hand is equipped with an Ivy Bridge Core i5-3360M and is configured at a retail price of about $2100 USD (or less depending on promotional deals). If configured with a Sandy Bridge i3-2350M with reduced options, the E6430s can be had for a base price of $830. In either case, users will be paying a bit more than usual for similar hardware wrapped in a smaller 13.3-inch footprint. Find out here if the E6430s can deliver the same performance and hardware features as its older brother while still sporting an unchanged chassis. The design style of the Latitude E Series has changed little throughout the years which has naturally led to its recognizable looks and colors. The E6430s sports everything users have come to expect from a high-end Latitude E model including the smooth brushed metal surfaces, matte display and Dell’s trademarked Tri-Metal chassis. There is otherwise very little to complain about the case in terms of quality as it has remained unscathed from the E6330. To the constantly moving businessperson, the E6430s should survive most anything thrown at its way. See our full review of the Latitude E6330 for more pictures and complete details on the case, connectivity, and input devices. The Latitude E6430s sports a matte 1366x768 resolution display common amongst budget notebooks in the 13- to 15-inch range. Dell unfortunately offers no other resolution options, which may turn off users who could have benefitted greatly from higher resolutions for work or business purposes. 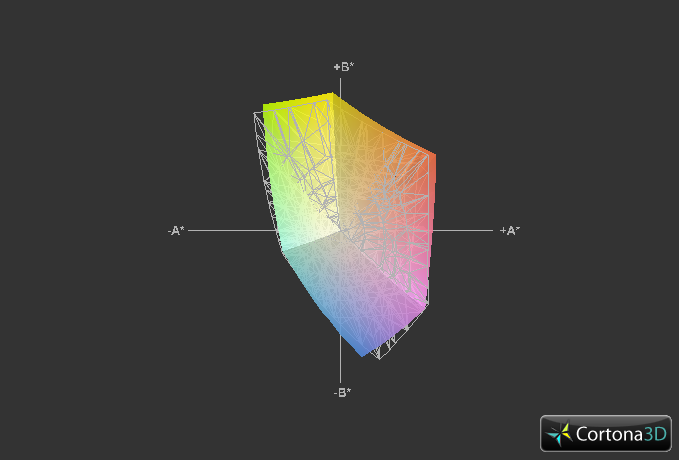 This is in contrast to the E6430, which offers an HD+ option for a 1600x900 resolution screen. Still, the display is subjectively crisp and the standard wide XGA is perfectly acceptable for word processing and everyday browsing needs. A maximum brightness level of 220 nits was measured on the center of the display with good distribution throughout the nine measured quadrants. The black level is unimpressive at a high 1.5 cd/m2, similar to our previous Latitude reviews. Many multimedia-oriented notebooks offer higher contrast ratios for more colorful images and video playback. Perhaps more importantly, we’re relieved to see that display brightness has not suffered from moving to a 14-inch display on a chassis originally designed for a 13.3-inch screen. 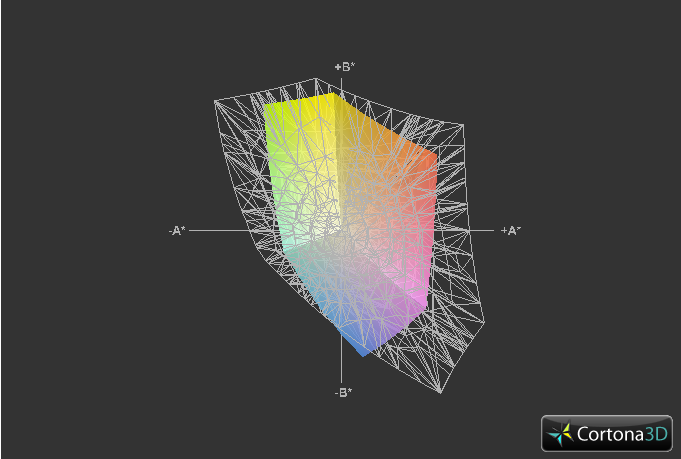 For the usual business work, however, the color and display performance is enough without being too gaudy. Similarly, the reproducible color space is sufficient for its purposes at about 59 percent of the sRGB spectrum. 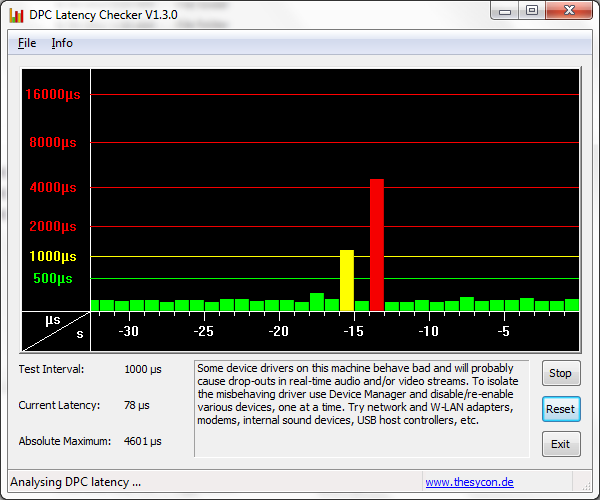 The coverage is average and almost 1-to-1 with the larger E6430 and ThinkPad T430. The unimpressive reproduction should be of no concern for the target audience as those who demand utmost color accuracy for graphic designs and related digital artwork may be more satisfied with workstation-class notebooks. The average brightness of Over 200 nits allows comfortable use indoors and certain outdoor conditions at high brightness settings. Outdoor usability is thus better than the E6330, though still limited to areas under shade and when out of direct sunlight. The matte display is a benefit in this situation as reflections are essentially non-existent regardless of the current viewing angle. The maximum brightness level also stays consistent between the Performance, Balanced, and Power Saver profiles when running on batteries, so users can still get the full potential of the backlight if away from an AC power source. Viewing angle stability is typical of a TN panel with no surprises. Color inversions occur much more rapidly if viewing from below the normal compared to viewing from above or side-to-side. This does limit potential viewing angles somewhat, but the inherent limitation of the TN panel is not relevant for the most part when simply viewing the screen head on. The E6430s under review houses the super-speedy standard-voltage 2.8 GHz i5-3360M, which should be more than enough for the everyday home or business user. 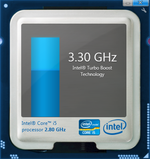 Users can opt for the previous generation i3-2350M or up to an Ivy Bridge i7-3520M for even more power. 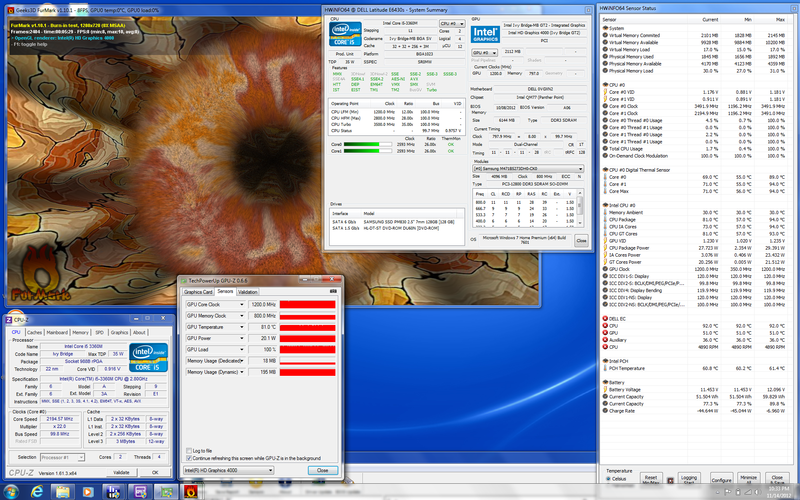 The dual-core i5-3360M in this case idles at 1200 MHz with Turbo Boost potential up to 3.3 GHz for both active cores. See here for more information on the i5-3360M. 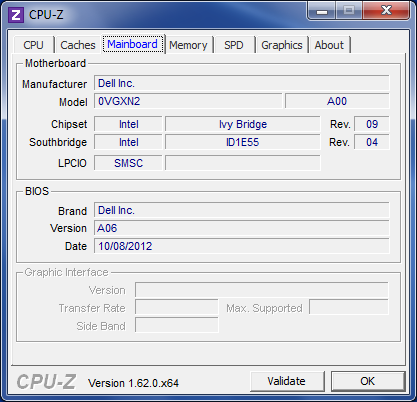 As usual, the Ivy Bridge chipset includes the built-in Intel HD Graphics 4000 GPU. The integrated graphics core idles at 350 MHz and is rated at 650 MHz with up to 1200 MHz Turbo Boost. But, as seen in the graphics stress test below, the HD 4000 in the E6430s has no trouble maintaining its maximum Turbo Boost speeds even under stressful circumstances. See here for our full review of the Intel HD 4000 GPU. For RAM, the reviewed model is equipped with two DDR3 PC3-12800 modules, 1 x 2 GB and 1 x 4 GB from Hynix and Samsung, respectively, for a total of 6 GB. DPC Latency recorded recurring latency spikes even with wireless radios disabled, which leaves us to believe that one or more of Dell’s background services may be responsible for the peaks. 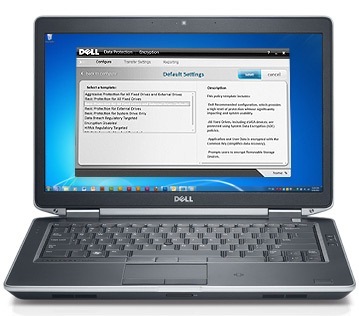 System upgradeability is very friendly and familiar to those who have owned a Dell Latitude in the past. The system drive can be removed with just a couple of screws and everything else from the RAM to the CPU heatsink are exposed by removing an additional set of Philips screws. Business-class notebooks are typically more open to end-user serviceability and the E6430s is no exception. The synthetic CPU-oriented benchmarks place the i5-3360M in line with (if not a little higher than) other notebooks sporting the same CPU. 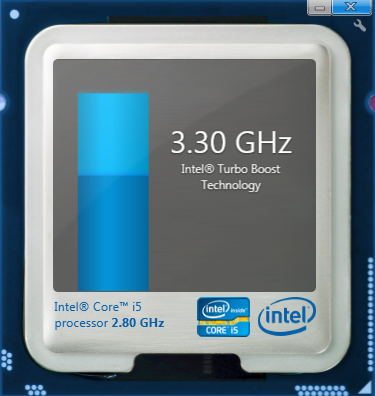 For example, the strong Turbo Boost sustainability of the E6430s has ranked the i5-3360M higher on average than similarly equipped notebooks (such as the Fujitsu Lifebook E782 and HP EliteBook 8570w) in raw benchmarks such as Cinebench R11 and Super Pi. Though not significant in day-to-day performance, it is nonetheless very appealing that users can get the full processing potential of the CPU in the E6430s. 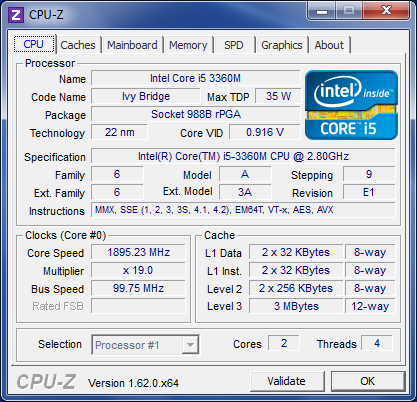 Compared to the previous generation Sandy Bridge lineup, the i5-3360M performs in a very similar level to the i7-2640M, one of the fastest dual-core Sandy Bridge CPUs available. System performance according to PCMark Vantage and PCMark 7 is similar to the Acer Aspire V3 (i7-3610QM, GeForce GT 650M) and MSI GT70 (i7-3610QM, GeForce GTX 670M), both of which are gaming or multimedia notebooks. The fast SATA III SSD is responsible for most of the points that make up the high scores as both the PCMark benchmarks are easily swayed by dedicated solid-state drives. As an example, the reviewed ThinkPad T430 included a 500 GB HDD and no SSD. 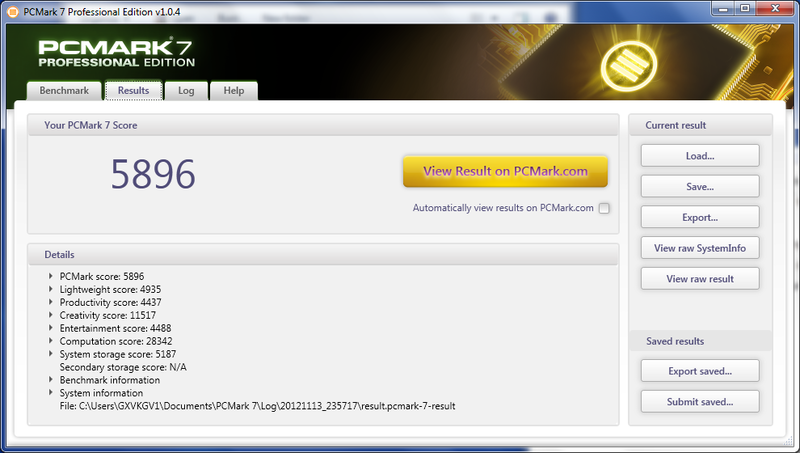 Despite having a faster i7-3520M CPU, its PCMark Vantage and PCMark 7 scores are both around half of that of the Latitude E6430s. 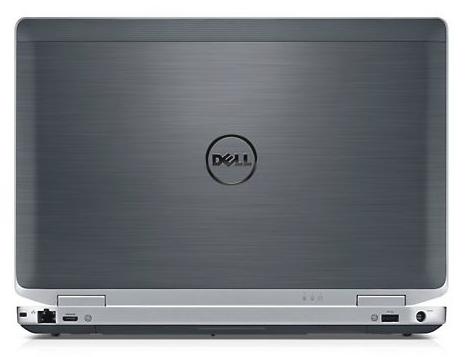 Operations and applications are smooth and much more speedy on the Dell should the user equip it with a dedicated SSD. The manufacturer does offer secondary HDDs via the Modular bay for more storage if needed. Although a number of drive options are available (5400/7200 RPM HDDs up to 750 GB and SSDs up to 256 GB), most come with encryption (FDE/SED) FIPS support and accelerometer sensors to protect data from accidental drops. 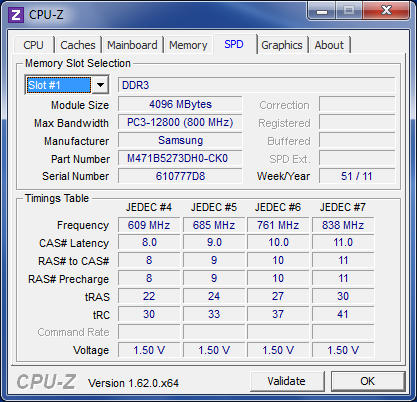 The equipped Samsung PM830 operates at SATA III speeds and is in fact also found in a number of other Dell notebooks (including the E6330 and Alienware M14x R2). 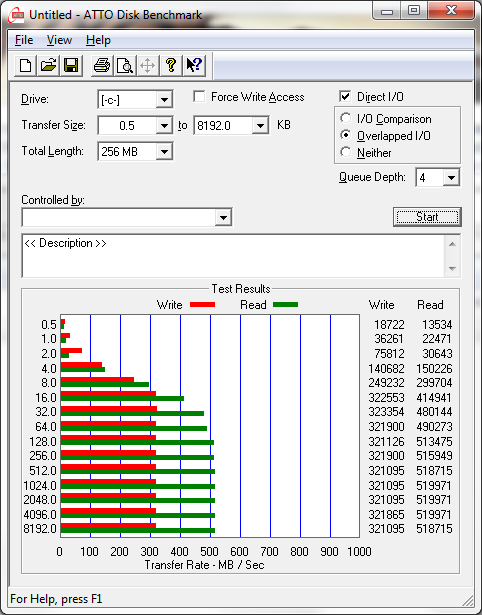 As such, results from Crystal Disk Mark and AS SSD are similar for the E6430s. We attempted to install a Renice X5 mSATA drive onto the available WWAN slot, but Windows was unable to recognize the drive. Out of the theoretical 128 GB of total storage space, 752 MB is reserved for recovery and 110.47 GB is immediately available in the C: drive. 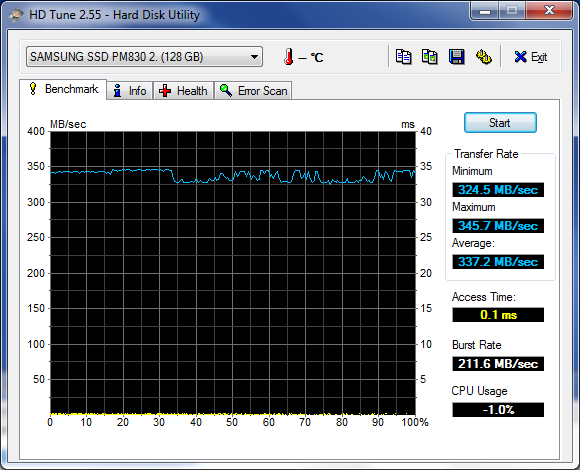 See here for our growing HDD/SSD comparison list. Gaming performance is good for an integrated GPU as the HD 4000 boasts scores of 685 points and 10.8 FPS in 3DMark 11 and Unigine Heaven, respectively. Though low when compared to mid- and high-end GPUs, the HD 4000 in the E6430s scores above the majority of most other HD 4000 GPUs on other Ivy Bridge processors. An extreme example is the recently reviewed Lenovo Yoga 13, whose integrated HD 4000 graphics performs feebly when paired with its ULV Core i5-3317U. In practice, the E6430s produced marginally better frame rates in the tested games. For example, the average HD 4000 runs Starcraft 2 at about 119 and 26 FPS on Low and Medium, respectively, while the E6430s was able to run the same benchmark scene at 125 and 31 FPS. Although a noticeable bump, most of today’s intensive titles are still off-limits to the HD 4000 when playing on anything higher than Medium settings. The E6430s expresses a wide range of noise levels depending on the workload. When idle or under light loads, the Dell is essentially silent to the user sitting from a normal distance away. On higher loads, the notebook is not afraid to be loud when applications demand the horsepower. For example, running Prime95 and FurMark for a full system stress produces fan noise upwards of 46 dB(A), as loud or louder than some gaming notebooks such as the MSI GE60 or HP Envy 17. Under more day-to-day applications, users will fortunately never be subjected to the loud maximum volumes. Instead, the E6430s will more often than not fall in the 32 - 38 dB(A) range during medium to heavy use. While still subjectively loud, this level is somewhat comparable to the maximum fan levels of the Latitude E6430 and E6420. The ThinkPad T430 and T430s both rank quieter by a couple of decibels when under load. Given the power and full Turbo Boost sustainability of the CPU (see next section), the maximum sound levels of the E6430s are understandable. Surface temperature measurements were taken both on the keyboard and underside surfaces while the system was idle and then subjected to maximum load. Temperature when idle is not as uniform as we expected since one side is clearly warmer than the other by about two to four degrees C. The hotspot, which is nearest the rear left corner, is also quite warm and close to 30 degrees C simply from idling. Temperatures under maximum load do not stray very high from the idle values. However, this applies only to the right-hand side of the notebook as the quadrants closest to the corner hotspot can rise by a significant amount. We were able to measure a high of over 43 degrees C on this particular corner, an uncomfortable temperature for prolong skin contact. Users will certainly feel the temperature difference if using the E6430s on one’s lap due to the wide temperature gradient between the two sides of the hardware. The exhaust vent in particular can emit very warm air when under system stress, enough to make skin uncomfortable if close to its vicinity. In contrast, the keyboard surface stays relatively cool compared to the hot underside, so hands and palms will fortunately avoid most of the heat. So long as users avoid the rear corners and hot vent, the notebook should still be comfortable to use even if at maximum workload. 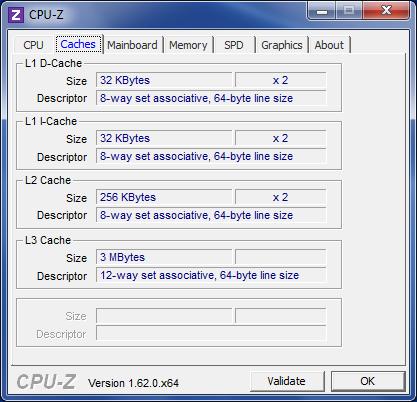 Potential throttling issues were assessed with Prime95 and FurMark to stress the CPU and GPU, respectively, with monitoring tools (GPU-Z, CPU-Z, and HWiNFO) active. 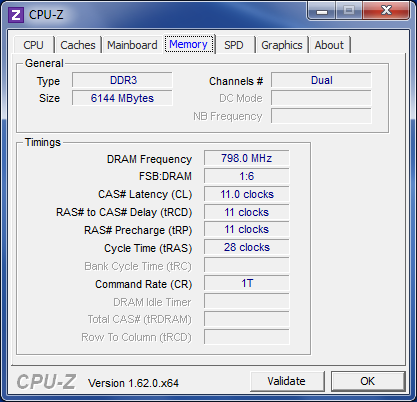 When only Prime95 was active, both CPU cores were able to maintain the maximum 3.3 GHz Turbo Boost clock rate without faltering for the entire duration. 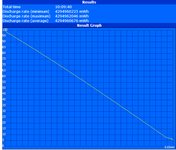 Similarly, the GPU was able to maintain its maximum speed as well at 1200 MHz when only FurMark was active. 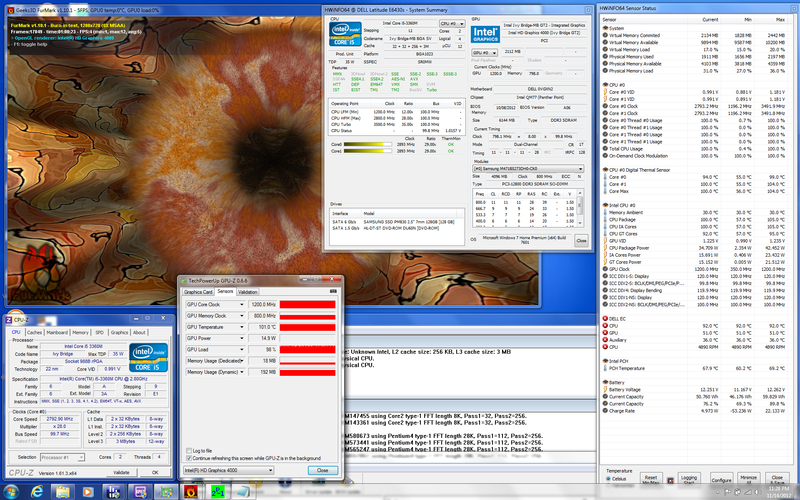 The system hardly buckled when subjected to both Prime95 and FurMark simultaneously for a full system stress. The GPU was able to impressively maintain its maximum 1200 MHz speed while the CPU settled a bit lower at the 2800 to 2900 MHz range. It’s also worth noting that GPU power drops from about 20 W under GPU stress to 15 W when under full system stress according to GPU-Z. This appeared to have no effect on either the core or memory clock rates. 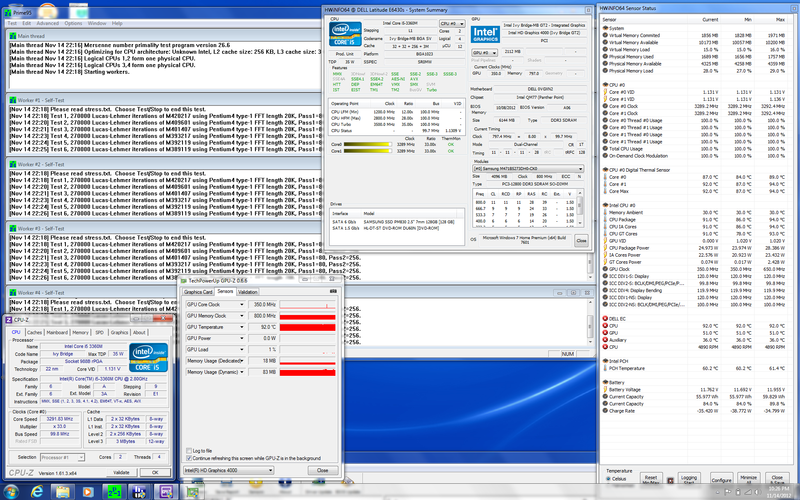 CPU temperature leveled off above 100 degrees C during the uninterrupted hour long full stress test. Despite the high temperatures (and maximum fan noise), the hardware and clock rates were stable throughout the entire duration. 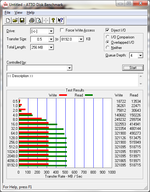 We ran 3DMark06 under only battery power at the Performance profile setting to see if system performance becomes stinted if disconnected from the outlet. The end results produced very similar scores when compared to AC power, so full performance is available regardless of the type of power source. No throttling issues were present during the stress test. The stereo 1 W speakers are located on the front edge and face slightly angled towards the desk. Sound quality is unimposing with low bass and slightly muffled sounds. On the bright side, the speakers are loud even at half volume and suffer from no balance distortions on higher or lower settings. They have acceptable performance for a business notebook and should have no problems in a medium-sized meeting room, but external solutions are recommended as usual for extended movie or music sessions. 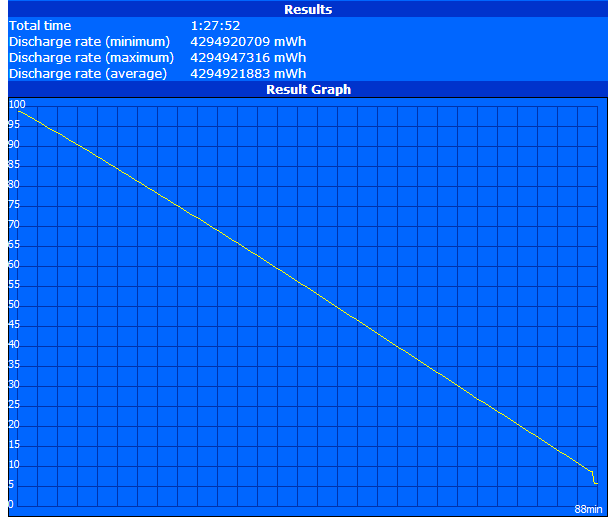 Battery runtime was tested under our standard conditions with Battery Eater to record. Maximum runtime was carried out under the Power Saver profile at minimum brightness and all timeouts and wireless radios disabled. The notebook was left to idle while the Battery Eater Reader’s Test was left to run. Under these conditions, the system was able to last for over 10 hours. 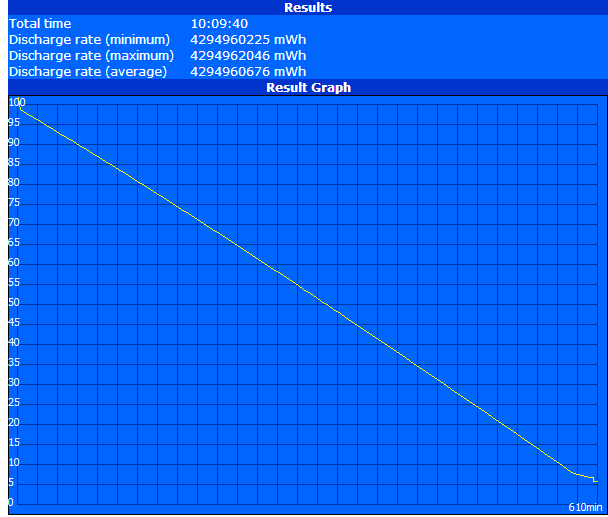 Conversely, minimum runtime was done under the Performance profile at maximum brightness with wireless radios enabled. 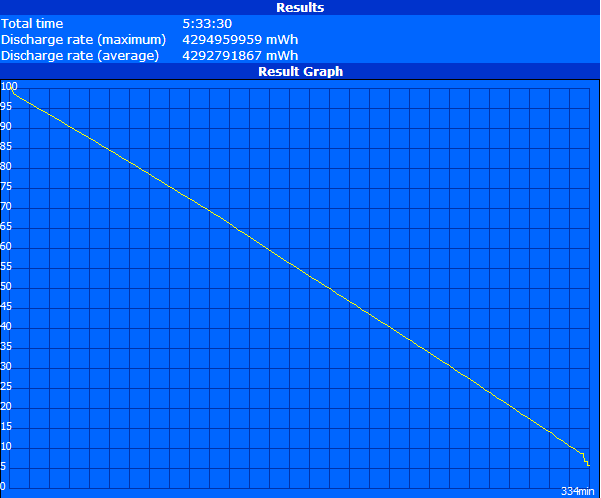 With the Battery Eater Classic Test active, the notebook shut itself off after about 1 hour and 30 minutes. The more realistic WLAN test mimics typical browsing conditions by looping our standard browsing script until automatic shutdown. Under the Balanced profile and at ~150 nits (brightness setting 10/15), the notebook lasted for about 5 hours and 30 minutes. Overall battery life with the 6-cell 65 Wh battery is very good, handily beating thinner notebooks and on par with the E6430 with a similar 6-cell battery. More notably, average runtime is better than some HP ProBooks (4740s, 6465b) and is not too far behind the ThinkPad T430 even though the latter is equipped with a much larger 94 Wh module. The battery life when idle is better than expected as well, which means users can squeeze out even longer runtimes by reducing brightness and other settings. Dell offers both smaller (3-cell 32 Wh) and larger (9-cell 97 Wh) batteries for users wanting lower weight and longer battery life, respectively. The 9-cell module is in the form of a battery slice, allowing the use of dual batteries if needed. A 3-cell 30 Wh Modular battery is another option and may be ideal if size and weight are a concern as the module does not extrude or add volume as do the primary 6-cell battery and 9-cell slice module. In any case, battery life will be improved significantly by using any combination of the primary, Modular, and battery slice options. Compared to the original E6330, battery life has not improved and can potentially be shorter. 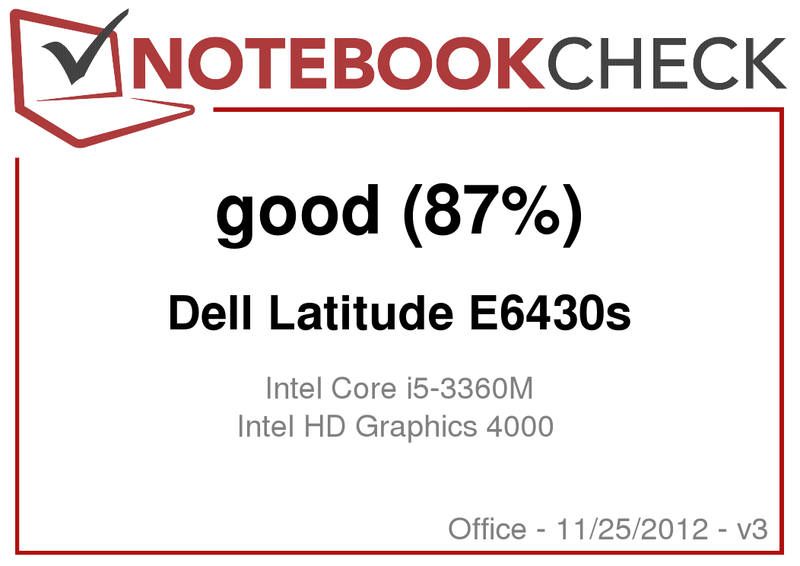 This may be largely due to the bigger display and slightly more powerful CPU on the E6430s. Nonetheless, overall runtimes are still very good especially when considering the performance available. The original Latitude E6330 was praised for its durable design, easy expansion options, solid keyboard, and fast CPU performance. The E6430s retains all of the positive aspects of its predecessor by using identical chassis and core internal hardware, all the while incorporating a larger 14-inch screen onto the same available surface area. Users who have been on the fence about the original E6330 now have an even better reason to jump on board with the E6430s. The notebook still offers strong performance all-around with incredible Turbo Boost sustainability. Some drawbacks, though minor, are apparent on the E6430s as well. Although the hefty weight shouldn’t surprise, the loud keyboard and fan under load can be irritating to some users, especially in quieter environments. Brightness could have been higher for even better outdoor usability and battery life has been reduced slightly from its E6330 counterpart. The SD card reader continues to be at a less-than-ergonomic position and there is still no integrated UMTS functionality despite the built-in SIM card slot. No higher display resolution is offered either, which we feel is a missed opportunity from bumping the physical screen size. Even so, the Latitude 6430s is just as good as the E6330 with more screen real estate to offer. Previous Latitude owners will know exactly what to expect while newcomers will enjoy the performance and vast customization options available down the road. Powerful performance, ease of expandability, and respectable battery life in the classic Tri-Metal Latitude chassis, now with a larger 14-inch display. Everything we love about the Latitude E Series is in full force on the E6430s. A brighter screen for outdoor use and more WWAN options could be of use for many business users alike. Magnets or a hinge lock could make the display feel more secure when closed. A repositioned SD card reader could make for easier access. Aside from a very small hit to battery life, nothing else was sacrificed in the 14-inch upgrade. The excellent Turbo Boost potential in another great plus for performance-hunters seeking the most from their systems.